The Internet presents a great opportunity of selling just about every item under the sun and this includes cars. People nowadays tend to spend more time online because of the recent popularity of social media sites and the decreasing prices of Internet-abled devices such as smartphones and tablets. In the Philippines, around 36 million Filipinos are now connected to the Internet and still increasing with the recent efforts of telecommunications companies and the government. Several e-commerce websites offer listing services where your product could be listed and viewed by online shoppers. These sites are a great platform to sell your car because of its wide exposure and the number of people it could reach. 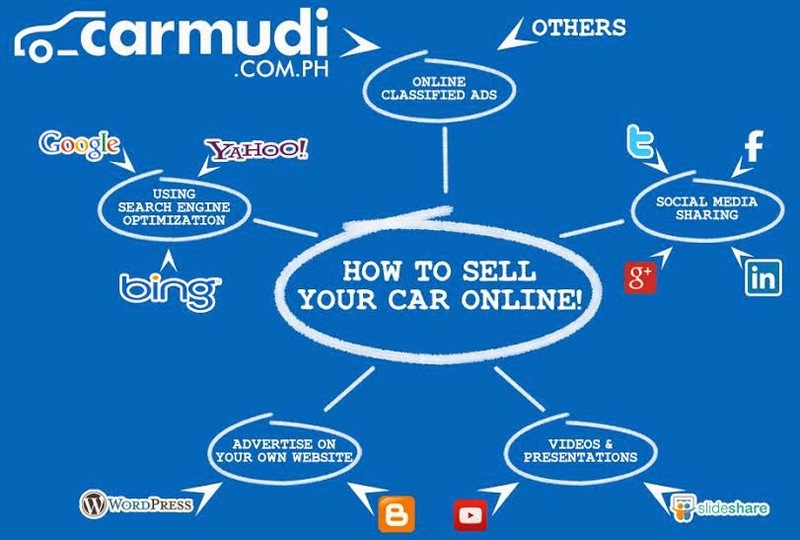 Carmudi offers a user-friendly online portal where potential car buyers could easily spot the car they are looking for through its systematized navigation and unique user experience. Another great advantage of car classifieds is its ability to target potential buyers by providing a wide range of marketing services. According to the November 2013 automotive study by Google, 95 percent of vehicle shoppers counts on digital channels to research the product before purchasing it. Telling your friends that your old car in the garage is for sale, has also been made easier because of the Internet. By using the intricate of web connection of your social media accounts (especially Facebook, Google+ and Linkedin), you can easily find the right buyer for your car with less or even zero expenses. Some clever private sellers have come up with paying the referrer a small commission. A good social media strategy also involves getting positive feedback or testimonials from your friends that your car is as good as you claim and that it merits the price you have set. For private dealers, sharing your product in a popular page (such as car clubs) could greatly increase the exposure of the cars in your inventory. Note, however, that you must have the proper authorization of the owner of the page. After all following sound online netiquette is the core of most online marketing practice. If you’re very hyped on selling your car, you could do more than just listing it on an e-commerce site or social media. Sites like Youtube and Slideshare also presents an opportunity to sell your car. Here you could work on your creativity to further market your car giving your buyers more details, and in the case of the popular video sharing site- a clip on how your car performs on the road. 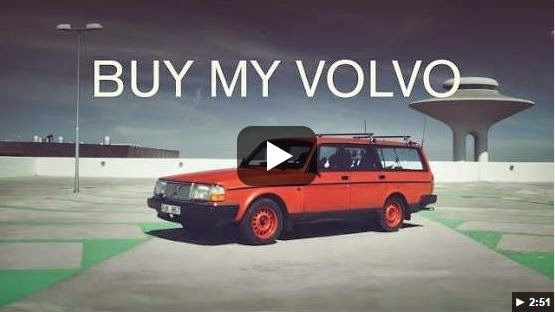 Take this clip of Buy my Volvo from Swedish art director Christofer Castor, who is selling his 1993 Volvo 245GL. The video has gone viral since March 2014 and received more than 1.7 million views. Slideshare, on the other hand, is a platform where you could upload and share your presentations. This site is mostly used for promoting your car dealership by providing relevant information about the automotive industry and its products. The advantage of this site is you get an unlimited number of slides per presentation. If you want to have more control of your car, especially if you have a large inventory, you could try to create your own website. Some sites such as Wordpress and Blogger, offer free websites (subdomain) with extra charges if you want to claim your chosen domain as your own. This tactic allows you to customize your post or listings. The downside, however, is that it is also labor intensive and also needs optimization to increase its visibility. When creating your own website, always bear in mind that customers always want to have the “what you see is what you get” process. As such, make sure that you provide them with all the information you know about the car model such as its mileage, engine type, standard equipments, sticker price, discounts or freebies, and its general condition. When you are posting online, it is best to keep in mind the practice of Search Engine Optimization (SEO). In a nutshell, it is the guidelines used by search engines to rank related pages on a given search term or query in response to the words he or she typed in the search bar. If you are a private seller and is selling just a single car on an e-commerce website, make sure that you fill all fields and provide a good description for the car. 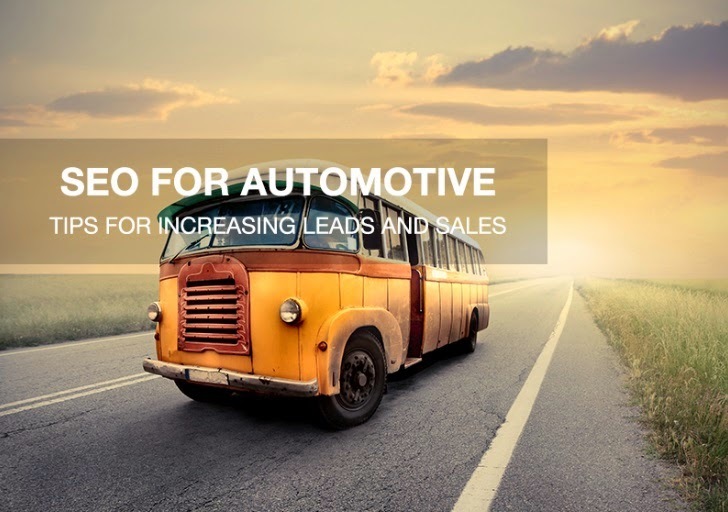 Not only does this improve of your listing to be on the first page of the site’s result page, it also provides the viewer/ buyer more information leading to a better chance of him purchasing your car.